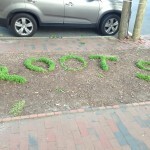 This summer, some small plants started to appear on the side median of the street on Franklin Street in Chapel Hill, NC. 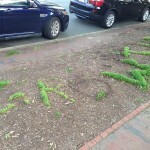 At first glance, they look like random tufts of greenery. 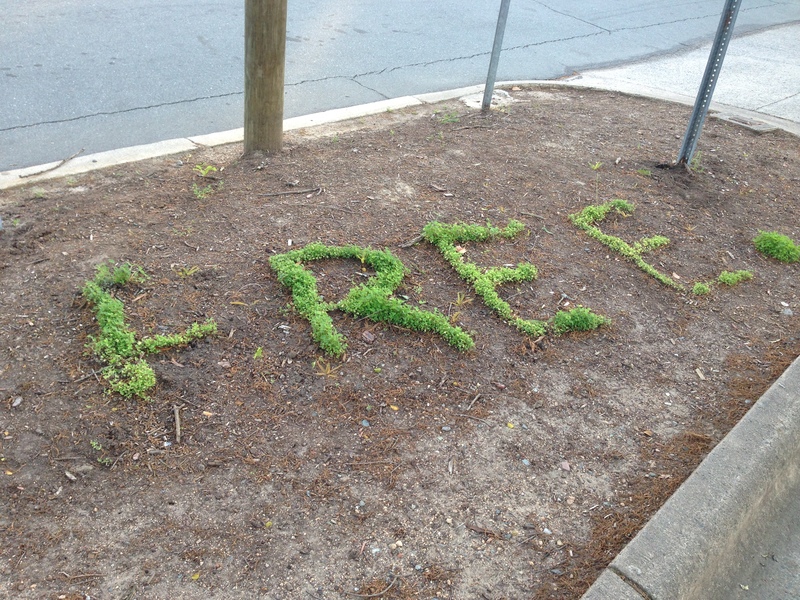 However, if you walk by slowly you are able to read words made of plants that line the street medians. 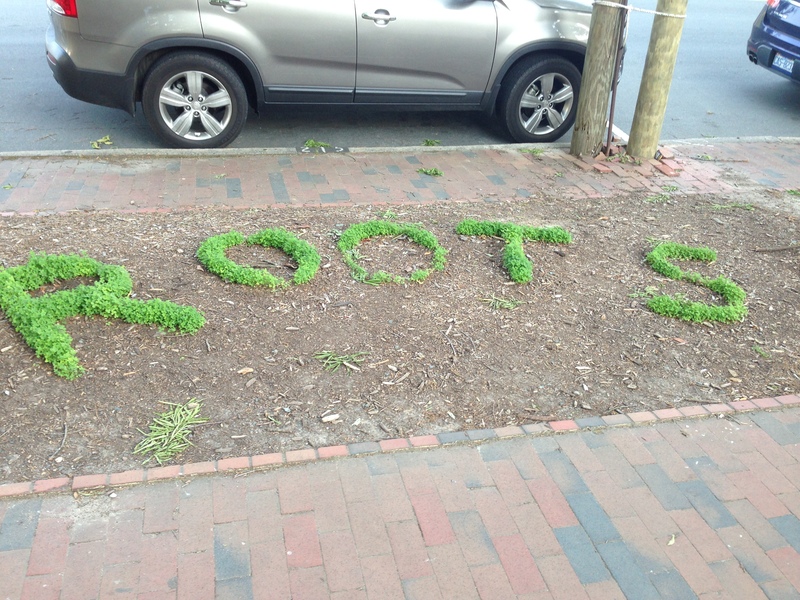 are some of the plant words that were planted in areas that do not have any bushes or greenery. 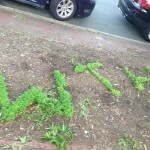 I tried looking online to see if there was any information about the plant writing- but to date I have not found anything online. 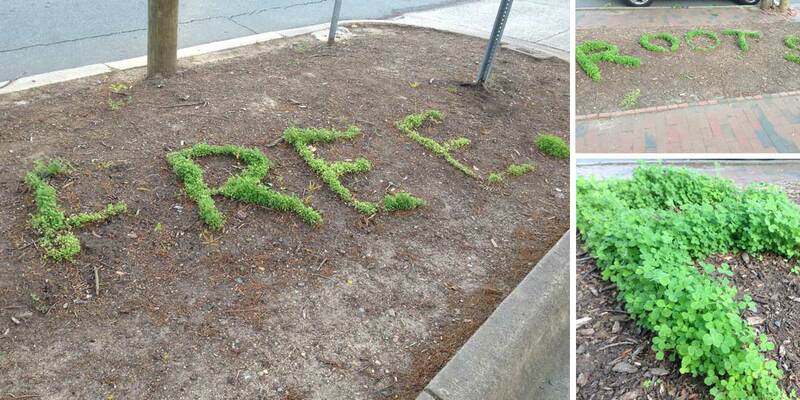 Seed bombing? 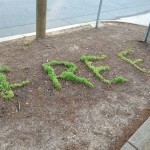 Public art? Social intervention? 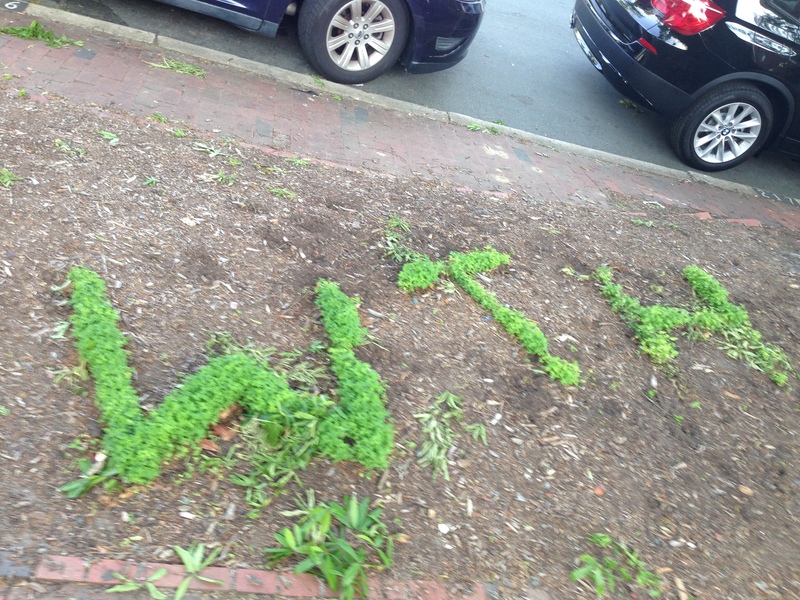 Gardening? Poetry? 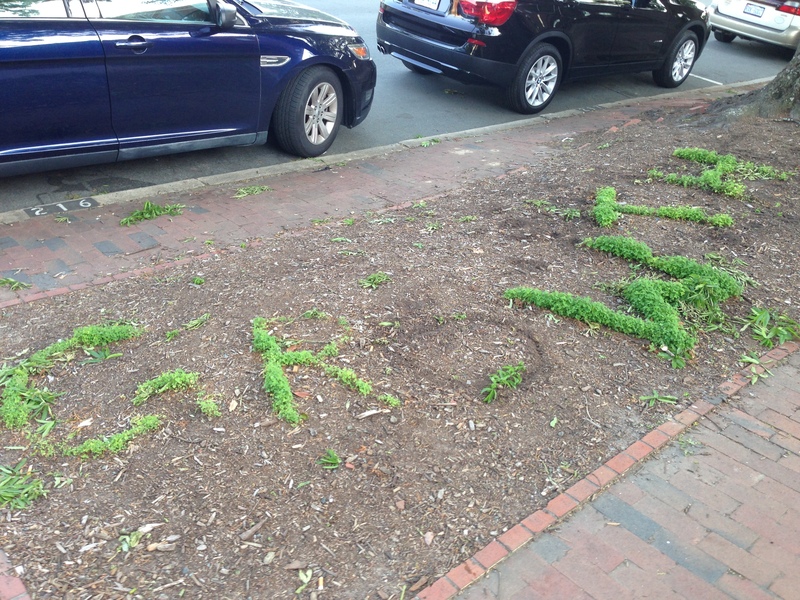 If you are in the Chapel Hill area – make sure you walk sideways as you go down Franklin street, to check out the writing with plants.